Ukrainian Minister of Foreign Affairs Pavlo Klimkin says the issue of territorial integrity represents a common challenge for Georgia, Ukraine, Azerbaijan and Moldova (GUAM) and accuses the Russian Federation of creating this problem, according to the Ukrainian news website Telegraf. "We are all facing a common challenge and, first of all, this challenge is connected with the territorial integrity and sovereignty of our countries. This is all incited by one country – Russia," he said at a press conference in Tbilisi on Sunday, October 8, after a special meeting of the GUAM Council of Foreign Ministers, Telegraf reported. "Of course, we must tackle this challenge together. 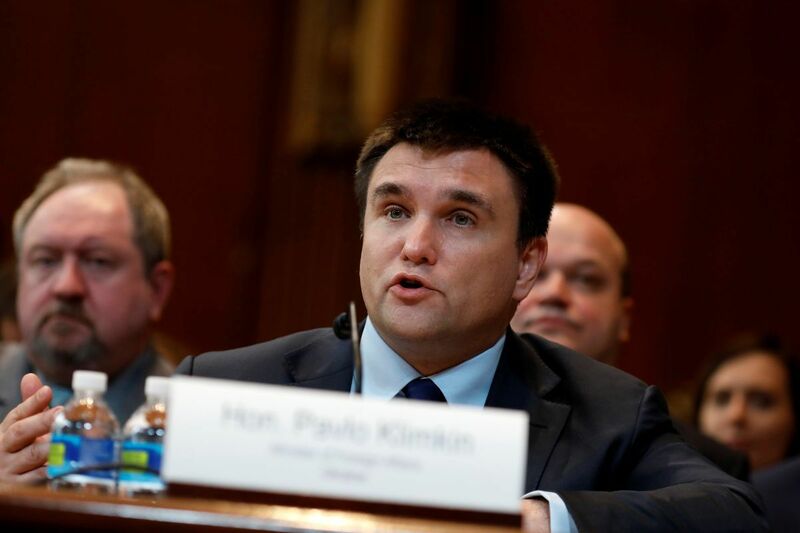 We must work in this direction and make efforts," Klimkin said. Read alsoRada recognizes Russia aggressor state as Donbas reintegration bill passes 1st readingOn Sunday, Tbilisi hosted a special meeting of the Council of Foreign Ministers of the GUAM Organization for Democracy and Economic Development dedicated to the 20th anniversary of its foundation. The meeting was attended by foreign ministers of the four member countries of the Organization - Georgia, Ukraine, Azerbaijan, and Moldova.